My husband and I got a "behind the scenes" look and taste at Dos Toros Taqueria in Chicago. And I gotta tell ya, I'm feeling what they're bringing to the table! We took our "Taco Tuesday" up a notch and dined at the Loop location situated just along the river. Dos Toros brings the Northern California vibe and fare to Chicago! From sourcing only naturally raised meats to composting their kitchen waste, this company takes sustainability seriously. The "little" things matter at Dos Toros, as all of the restaurant tables are made from reclaimed wood, and the receipt paper is even BPA-free. The company also gives back to the local community by donating to schools and partnering with non-profits. It was an good atmosphere to relax and enjoy a good meal and cerveza. The menu offers a wide-range of options, you can choose to build-your-own: tacos, salad, burrito, or quesadilla. For each menu category they also offer a vegan option called "market vegetables" which includes a fresh mixture of seasonal squash & greens, with cremini mushrooms & shishito peppers. The meat was so tender on its own, it was cooked just right and was delicious. We garnished our tacos with homemade salsa, rice, cheese, and guac. They gave us generous portions of the guac AND it only cost 45 cents extra, which is actually cheaper than some of the competitors. 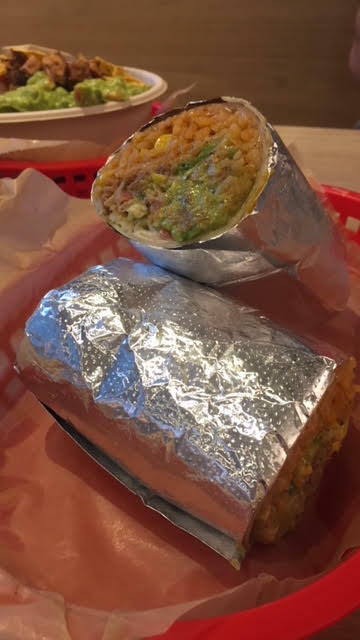 The burrito shells are the perfect consistency to be able to hold everything together, while still allowing the taste of all the fresh ingredients to come through. We were actually shocked at how thin the shell was, because it didn't break apart or leak through, and most importantly didn't overpower all the good stuff inside! Another aspect of the burrito I was able to appreciate was their signature layer of cheese. They melt a fresh piece of queso right on the tortilla shell prior to building the burrito, it was almost just as much fun to watch this process as was to eat it! The flour and corn tortillas are also GMO free. The theme behind the salad is Go Big AND Go Home, because you'll have enough to fill-up now and still have some leftover for dinner and maybe even lunch the next day. 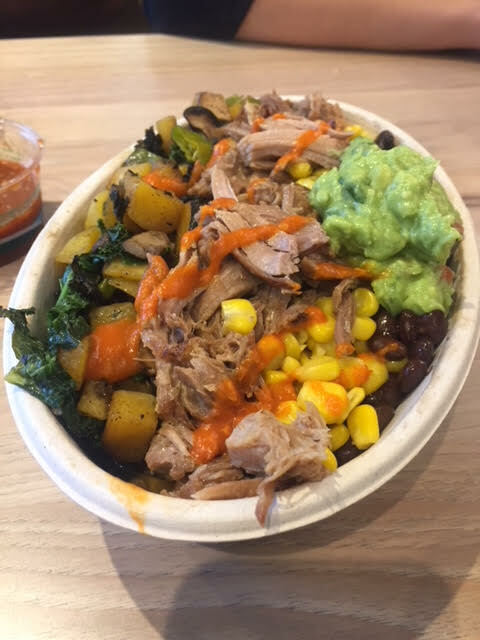 They don't skimp on the ingredients and they pack the salad bowls sky-high with a rainbow of fresh ingredients including: meat or veggie, rice option, lettuce, beans, salsa, cheese, and guac. You can garnish your bowl with crumbled tortilla chips, fresh cilantro, and a lime vinaigrette salad dressing. All of the meat is naturally raised with no hormones or antibiotics, which is something that I strongly value in my food. As mentioned above, the shells are also GMO-free. Additionally, I was told that they work with a local vendor in Chicago to supply some of their tortillas. If you're in downtown Chicago and craving a filling yet somewhat healthy meal, check this place out! Honestly, I could eat Mexican food every day of the week and I was overall pretty impressed with my experience here. 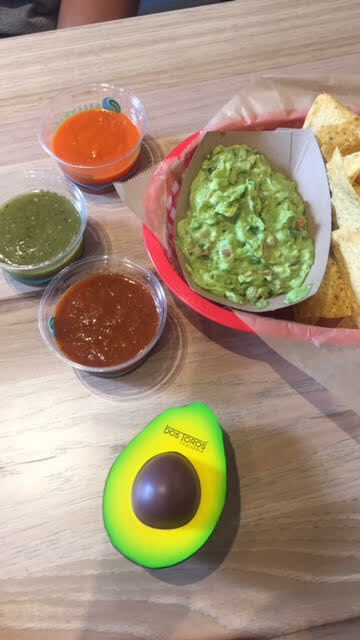 Dos Toros, you guac my world!